The real world may be a screaming nightmare, but the state of the Potterverse is strong. That’s the good news from The Crimes of Grindelwald, the second in Warners’ proposed five-movie prequel to the Harry Potter saga. And that means a lot more than it may first appear. Shared universes are all the rage, but handling them properly isn’t something Hollywood does easily. It an effort to chase down the cash cow created by the likes of Harry Potter and the MCU, studios often put undue pressure on properties that simply can’t support the weight. Sometimes, a given universe has only one story to tell (as the producers of The Hunger Games wisely ascertained), a fact often lost in the rush to establish a sustainable profit maker. And even when a franchise can support more stories beyond the first, they have to be handled carefully. Warners learned that lesson the hard way with their DCEU movies: a heavily mixed bag at best which may never fully recover from its disastrous first steps. So the prospect of expanding author J.K. Rowling’s Wizarding World past The Boy Who Lived and his friends carries with it certain inherent dangers. I mention this as a precursor to The Crimes of Grindelwald because it’s obvious going in that we’re getting one chapter in a larger story rather than a self-contained movie in and of itself. Harsher criticism has labeled it a placeholder film: setting up future entries in the series without establishing any proper identity of its own. Grindelwald grapples mightily with that dilemma, saddled with a typically long running time (about 2 hours and 15 minutes) and a destination that it never quite gets around to reaching. It survives – and even thrives in many places – because of the marvelous depth of Rowling’s universe. Part of that extends to the characters, which includes bother familiar names and brand-new ones circling around the title villain (Johnny Depp). Chief among them is Newt Scamander (Eddie Redmayne, still marvelous), leveraged by a very young Albus Dumbledore (Jude Law) to help him track down Grindelwald before the evil wizard unleashes hell. Newt agrees, for reasons that have as much to do with American wizard Tina Goldstein (Katherine Waterston) than saving the day. In the process, he reconnects with his muggle friend Jacob (Dan Fogler) and Tina’s sister Queenie (Alison Sudol), as well as the mysterious Credence Barebone (Ezra Miller), who figures prominently in Grindelwald’s plans. The large cast is one of the movie’s more problematic issues, with a number of figures to keep track of and plot developments clearly intended to pay off in later films. Rowling, who wrote the screenplay, did better in the original Potter cycle with keeping each chapter unified and self-contained. Grindelwald can’t match that feat: contenting itself instead with luxuriating in the universe and establishing the convoluted relations between all of the characters. Yet it must be said that such an exercise contains numerous joys in and of itself, especially for fans of the Wizarding World. 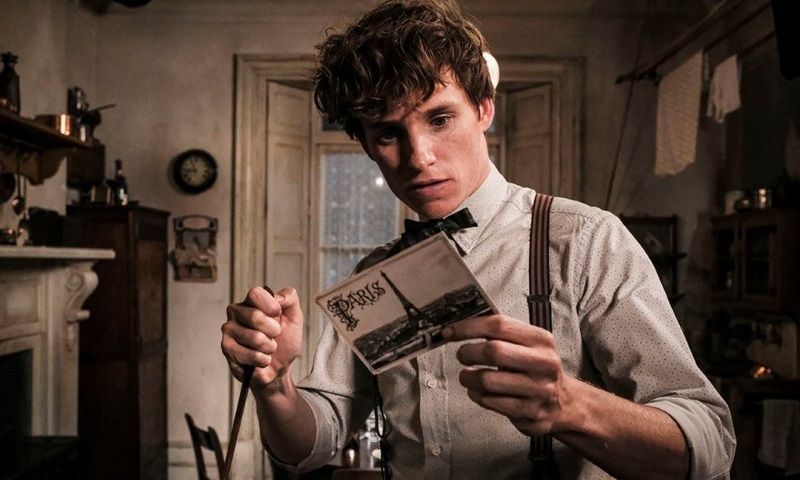 Much of the action is set in Paris, a new corner of this playground, and director David Yates is well-versed in the unique manner of mayhem required: from a perennially unfolding series of bookshelves to a Chinese dragon set loose on the streets. All of them retain the same soul as similar conceits in earlier films, which grants them a history and a life beyond the needs of flashy effects. Rowling has a knack for adding an ironic wrinkle to enrich seemingly simplistic concepts, and the various bells and whistles here suggest additional shoes waiting to drop. The characters, both new and old, benefit from her touch as well. The biggest beneficiaries include Dumbledore, whose inferred homosexuality adds intriguing weight to his conflict with Grundelwald, and a surprising appearance by Lord Voldemort’s future pet Nagini (Claudia Kim) whose backstory brings her a strange sense of sympathy. Rowling and Yates put the work in to make such moments more than mere fan service, and there’s a palpable joy watching the pieces to the larger puzzle slowly assemble. That doesn’t always beat back the film’s periodic aimlessness, but it does help make the exercise worthwhile. It’s also proof of concept that this universe has considerably more to show us, and when the view is as impressive as this, it’s worthy pausing to take a look. The Crimes of Grindelwald is far from a perfect adventure, but its pleasures are no less potent than those of its fellows. Sometimes, it’s enough to be in good company… and to ensure that such company is well-kept. A slow guided tour of the Wizarding World.